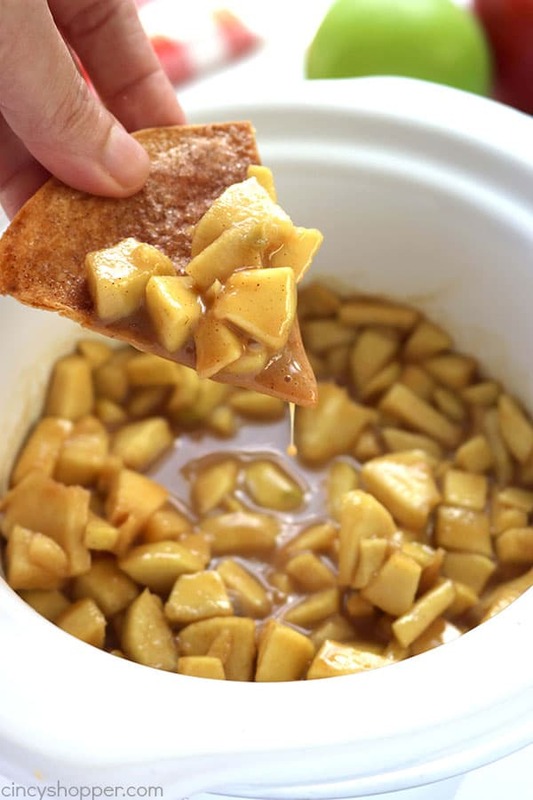 Grab your Crock-Pot and make this Slow Cooker Caramel Apple Dip and Cinnamon Chips. 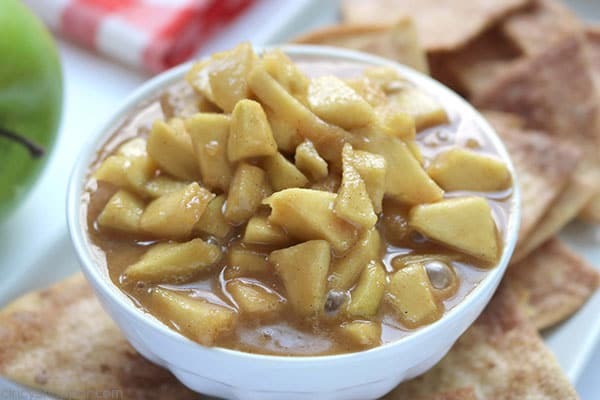 You will find it just like apple pie in the form of a dip. Perfect for feeding a crowd this fall. Fall is creeping right up on us. When letting the dog out this morning, I could feel the crispness in the air. I immediately switched out of my comfy shorts into some warm yoga pants. I have a love hate relationship with fall. I love the thought of the cooler weather. I LOVE fall foods like pumpkin and apple. The downside of fall arriving is that I know it will not last long, cold and snow will arrive shortly after. My grade school and high school kiddos are back to school. The college kids start back on Monday. Summer just flew right by. 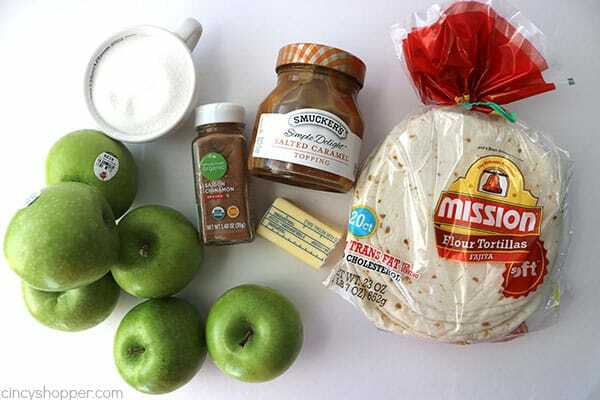 When they head back to school, I start making delicious fall recipes. 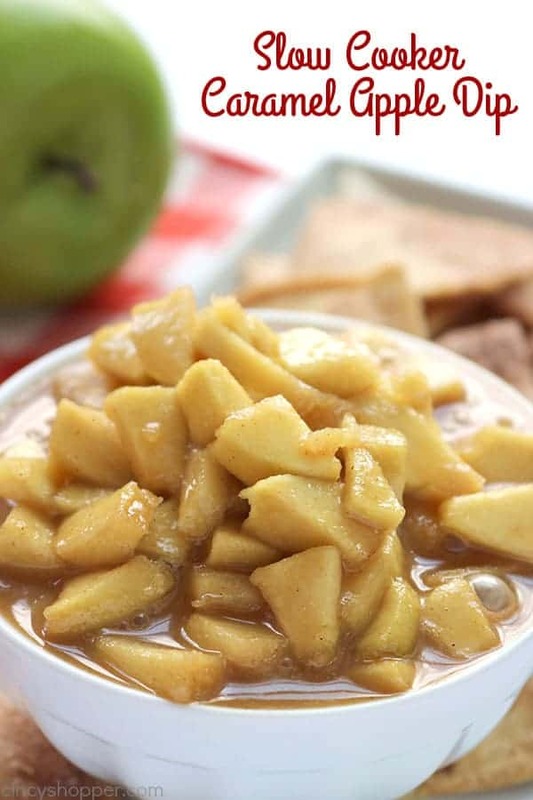 Apple recipes are always some of my first fall recipes to make. My kiddos requested our favorite Caramel Apple Pie Cookies for their lunchbox desserts for next week. So I will spend some time this weekend making a couple batches of those. 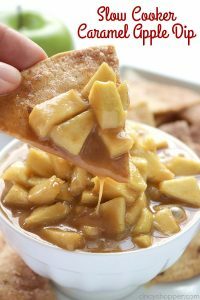 After school snack yesterday was this delicious Slow Cooker Caramel Apple Dip. 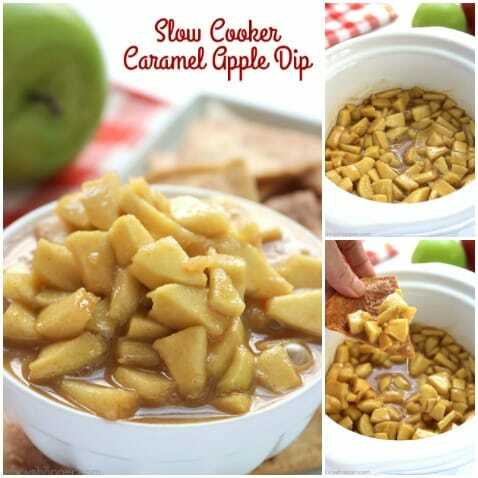 I seen a Crock-Pot Caramel Apple Dip Recipe over on The Country Cook. It looked amazing. I HAD to make it! I made a few modifications to her recipe as well as additional cinnamon chips to feed my crew. 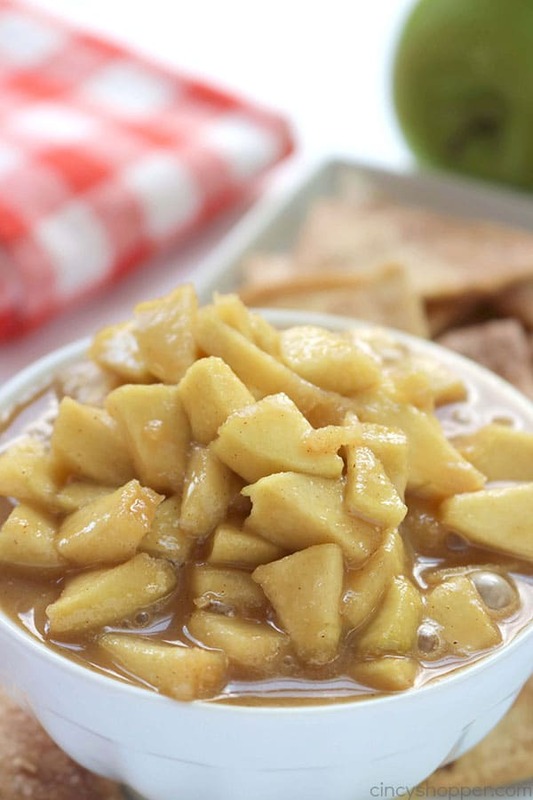 We are an apple pie loving family and this dip delivers perfectly for an appetizer or snack. I am super excited to serve it for our Thanksgiving guests. It will be great for serving a crowd. 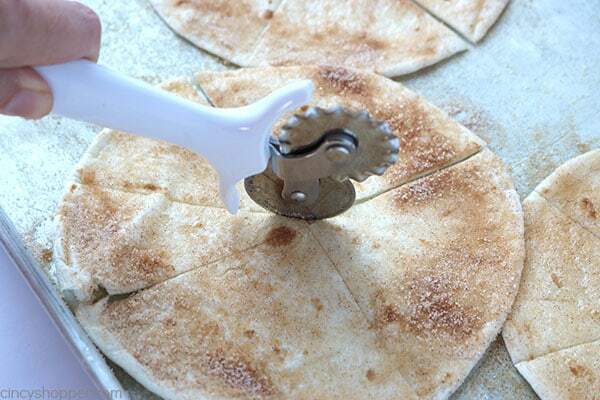 The recipe is so simple. I used the lunchbox medium sized Granny Smith’s. I LOVE Smucker’s Salted Caramel Topping. I use it in so many recipes because the flavor is incredible. 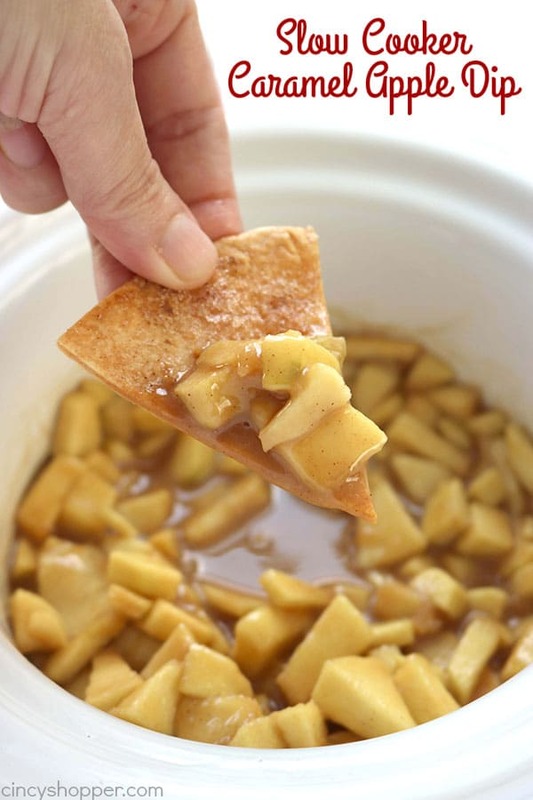 You could use Homemade Caramel Sauce too! 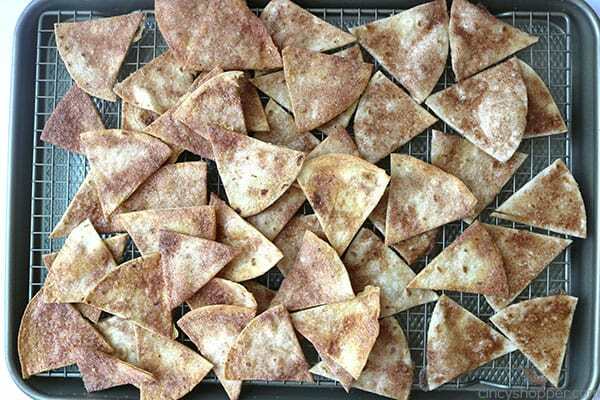 I made our own cinnamon chips. You could buy store bought too! 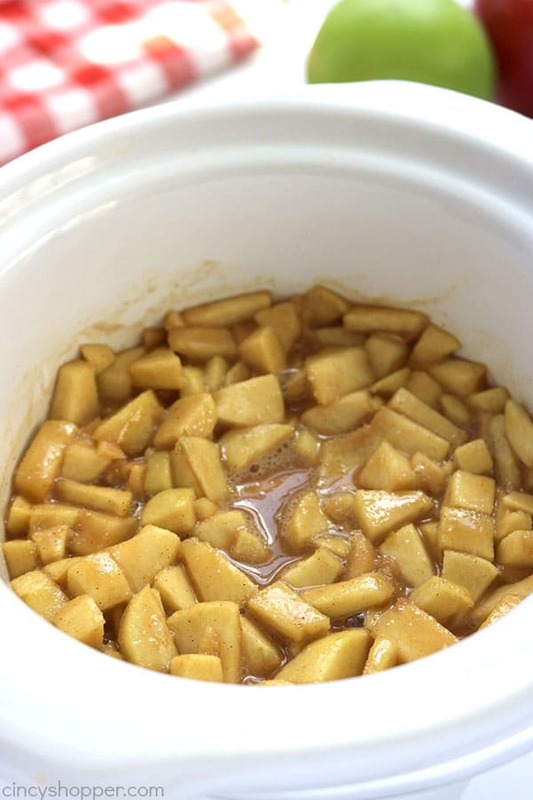 Place chopped apples into a slow cooker and sprinkle with 1/2 teaspoon of cinnamon. 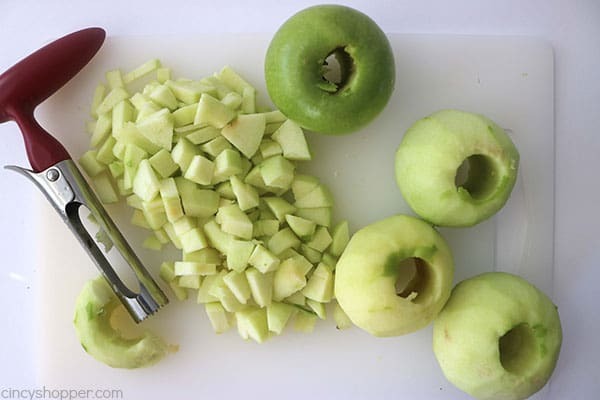 Add 1/2 of the caramel topping to the apples and stir to combine. Cover and cook on high for 2 1/2 hours or on low for 5 hours. 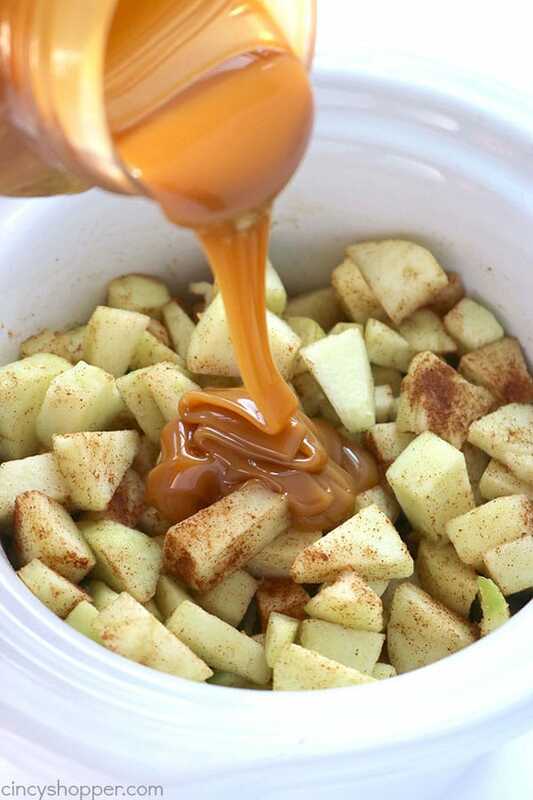 Add remaining caramel topping and stir until blended. 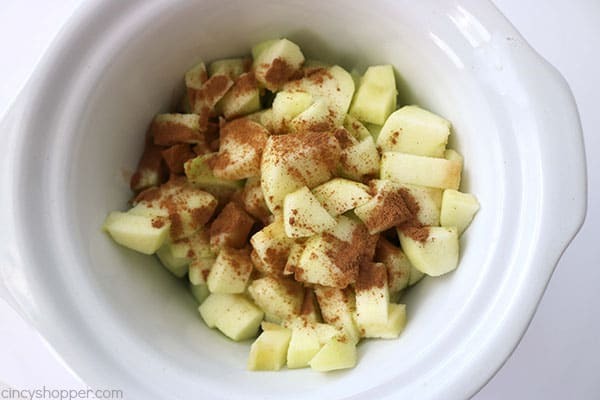 In a small bowl combine sugar and remaining cinnamon and stir to combine. Spray a baking sheet(s) with nonstick cooking spray. 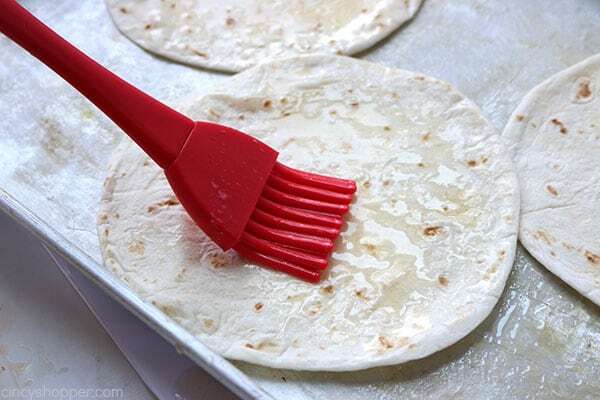 Place tortillas onto the baking sheet. 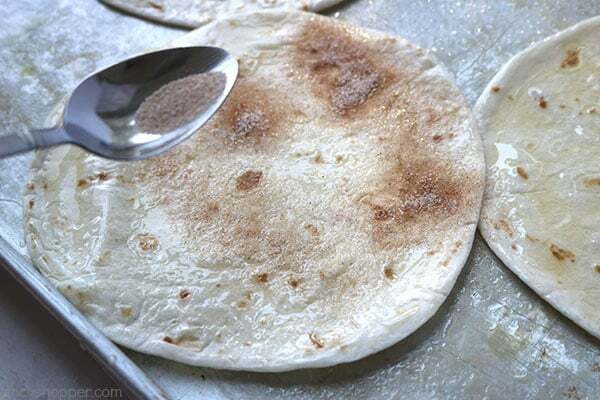 Brush each with melted butter and sprinkle generously with cinnamon sugar mixture. Bake for about 8-10 minutes until light, golden brown. Allow to cool. Adapted from: The Country Cook ! 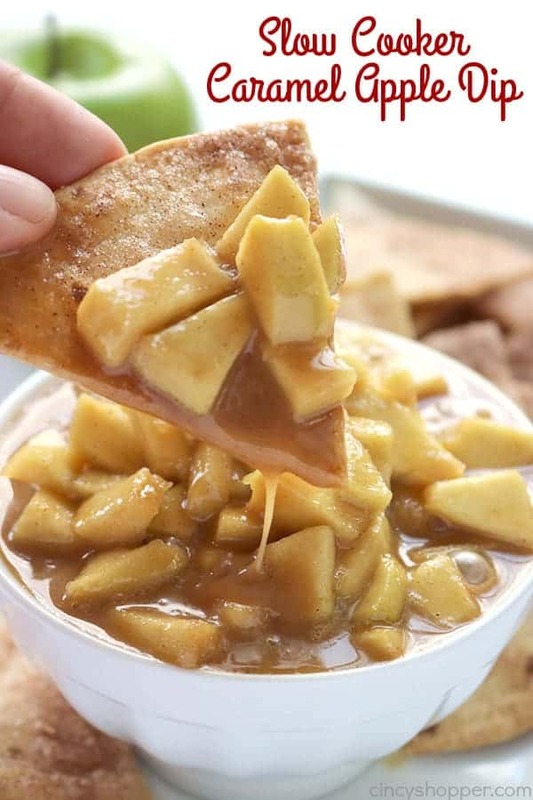 Do you have a favorite fall dip? 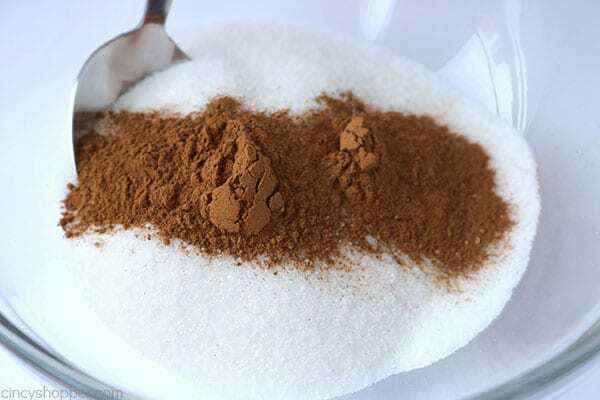 In a small bowl combine sugar and remaing cinnamon and stir to combine.